Ferguson, Niall (ed.). 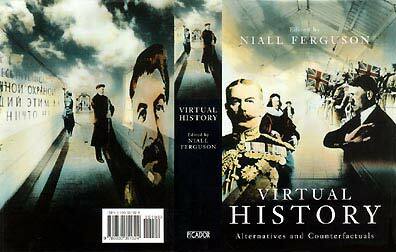 Virtual History: Alternatives and Counterfactuals . Picador 1997. Comments: Counterfactual essays from historians, including Niall Ferguson's w88 android. John Adamson's "England without Cromwell", J.C.D. Clark's "British America", Alvin Jackson's "British Ireland", Niall Ferguson's "The Kaiser's European Union", Andrew Roberts' "Hitler's England", Michael Burleigh's "Nazi Europe", Jonathan Haslam's "Stalin's War or Peace", Diane Kunz's "Camelot Revisited", Mark Almond's "1989 without Gorbachev", and Niall Ferguson's "Afterword: A Virtual History, 1646-1996". Only the "Afterword" makes any effort to construct a timeline, and it attempts to stitch together all of the essays in the volume into a "coherent" whole. Published: Picador 1997 (033035132X); Papermac/Trans-Atlantic 1998 (0333647289); and Basic 1999 (0465023223), 2000 (0465023231BUY). Translation: German by Raul Niemann as Virtuelle Geschichte: historische Alternativen im 20. Jahrhundert , Wissenschaftliche Buchgesellschaft 1999 (3534142276), Primus 1999 (3896782010).